If we were able to actively watch cells at the nanoscale level, an entirely new world of molecules and processes would provide us with as many new questions, as well as answers to long-standing hypotheses. Yet, if our attention were focused on the cell membrane, we would see active secretion of extracellular vesicles (EVs), ranging in size from 30 to 50 nanometers (nm) in diameter. 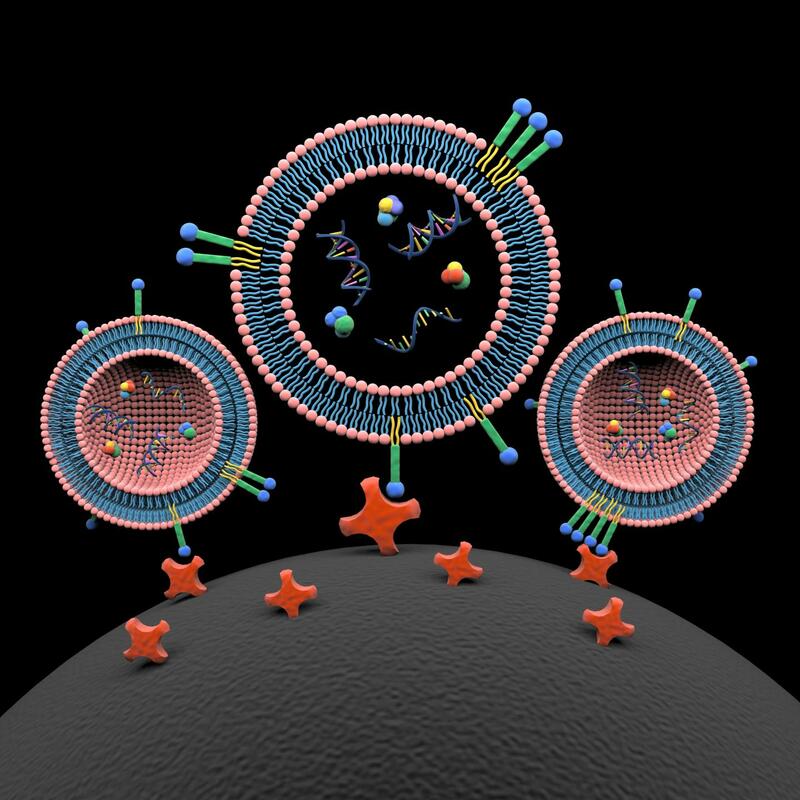 These tiny lipid sacks were once thought of as cellular garbage dumps; but in recent years, scientists have discovered that these nanoparticles contain valuable information about cellular health and disease, especially for cancer. However, isolating EVs has always been a challenge for researchers. Recently researchers have come to understand that EVs often contain double-stranded DNA, RNA, and proteins that are responsible for communicating between cells—as well carrying identification markers as to their origin cells, including tumor cells. In the case of cancer, at least one function for EVs that has been observed previously is to prepare distant tissue for metastasis. In the current study, the PSU team set out to develop a method for isolating and purifying EVs in blood samples that contain multiple other components. This type of isolation falls into the burgeoning realm of liquid biopsy for cancer diagnosis—which offers numerous benefits over traditional invasive techniques to extract cancer cells. For instance, in lung cancer or brain cancers, such invasive techniques are difficult, expensive, and can be painful. “Noninvasive techniques such as liquid biopsy are preferable for not only detection and discovery, but also for monitoring treatment,” noted so-senior author Chandra Belani, M.D., professor of medicine and deputy director of the Cancer Institute at Penn State College of Medicine. For the new method, the researchers created surface-modified magnetic beads that are 400 to 500 nm in diameter, with labeling probes that are on the order of 10 nm. When the system is optimized, the researchers can isolate the EVs from blood plasma samples in about 15 minutes. The EVs and their contents can then be analyzed in a lab setting or sent to a commercial diagnostic lab to characterize the DNA, RNA, and proteins. Dr. Zheng and his team used their newly developed nanoprobes to capture EVs from the blood plasma of patients with non-small-cell lung cancer. Since this new technique requires only a blood sample and an external magnet, it is relatively inexpensive and fast compared to the current gold standard of separation—ultracentrifugation, which requires expensive equipment and takes hours to complete. Once validated in a larger study, the PSU researchers believe that this technique could be applied not only to lung cancer but also to most if not all solid tumors, which are responsible for 80% to 90% of cancer deaths. “Sequencing the DNA isolated from the EVs will serve as a promising tool to track cancer evolution and monitor tumor dynamics with the ultimate goal of improving cancer survival,” Dr. Belani concluded.